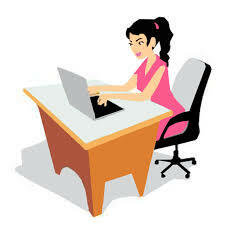 You are here: Home / social media / What can an Executive Assistant do for you? 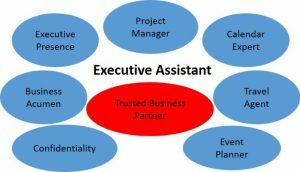 What can an Executive Assistant do for you? I worked in the government for 30 years and I learned early on in my career, that the acronym EA meant Executive Assistant, and those people were very important in terms of getting a leader’s attention. In my experience — the EA was a “right-hand-man/woman.” He/she is based at the executive’s office and is the gatekeeper who makes the impossible possible. By staying a step ahead and handling the details, he/she enables her boss to focus on the bigger picture. He/she’s an extraordinary liaison who is diligent and discreet, always working with a sense of urgency. Getting the idea? An EA is much more than clerical help, more like an extension of the leader who does things that the leader doesn’t have time for. The EA also works with an “ear to the ground”, so she represents the customer to the leader, so the leader does not lose touch with what’s really happening! Do you need an EA? Do you monitor your social media channels daily, answering any inquiries quickly and efficiently? Do you monitor the stats from your blog? Do you send your newsletter out regularly and do you monitor both open rates and click rates and make adjustments accordingly? Do you have promotions / contests for your customers to participate in? A picture is worth a thousand words! Do your blogs and social media posts contain pictures? Are you using tags and hashtags to ensure your social media posts reach your target audience? Do you need some help developing some retail items for your business so your customers can assist you in promoting your business? Do you have someone you can trust who can make a quick change on your website if you don’t have time? 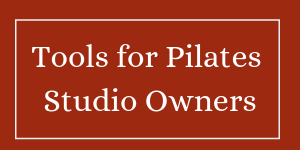 or build a promotion in software like Mind Body? Do you need an idea person? If your answer to any of these questions is yes, there’s a Farm Girl Marketing Solutions package that can help you! Schedule an appointment to meet and interview Becky today, and start seeing your marketing begin to work! Previous Post: « Social Media isn’t as easy as it looks!